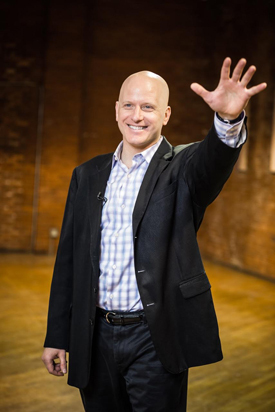 An author, keynote speaker, and positive change consultant, Bob Faw ignites passion for positive change around the world. As a positive change consultant he ignites energy, growth and development of organizations and individuals in all sectors. Since 1988 Bob has specialized in guiding change where the change journeys are as positive as the results. He’s developed leaders, and energized people across a breadth of organizations. His clients learn to apply user-friendly brain tools in their professional and personal lives to energize sustainable culture change and higher performance. Bob’s outgoing nature, comedic style, and energizing activities keep engagement and retention high. He includes active learning activities to enhance comprehension, increase retention and develop new skills through practice. Bob specializes in Motivation (Energize Events) and Leadership Development. Bob has developed many concepts and tools in the “Energize” approach. There is tremendous power gained by focusing our thoughts, words and actions on results in which we, our teams, and our organizations flourish. This addresses one of the biggest challenges facing leaders and teams – our bodies’ natural responses to conflict. The human body has complex protective mechanisms that help us survive many threats. Our body’s limbic system reacts with the natural “negativity bias” and the “fight, flight or freeze” responses that can cause tremendous problems such as resistance to change; “black and white thinking”; us versus them mentalities; silo behavior; and unhealthy competition. Many improvement approaches focus on problems in such a way that actually worsen the fight, flight and freeze responses. The Energize approach, however, is designed to work elegantly and simply to leverage the way our bodies function. Energize tools use positive language and communication to soothe the limbic system and to create mental images and feeling states that guide and energize us towards positive change. Our Energize approach helps leaders and teams to quickly focus on common goals, find alignment in behaviors, and motivate to new levels of team performance. It enables stuck leaders or teams to motivate towards desired futures and build momentum upon past positive contributions.